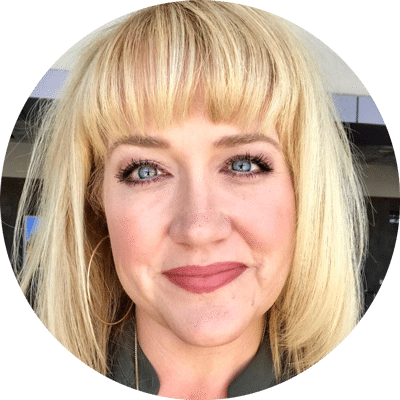 I recently got to partner with one of my favorite brands, Jennie-O, and I am really excited to be working with them. 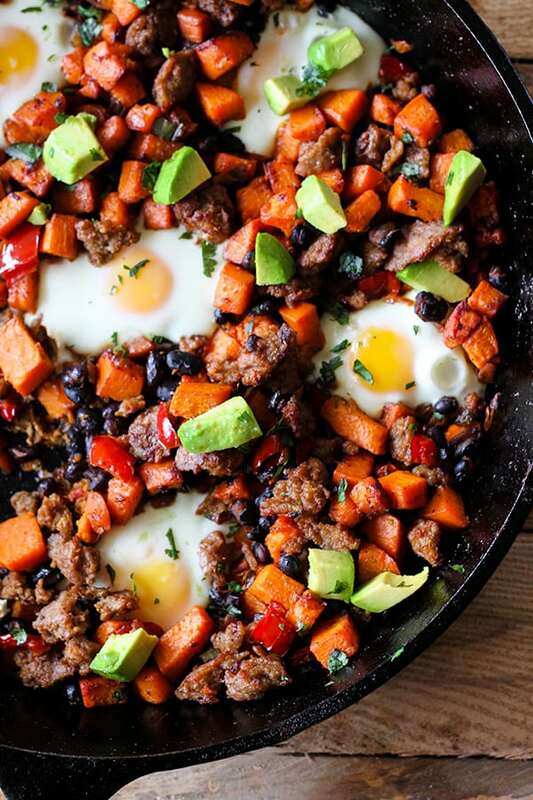 In this Southwestern Skillet Sweet Potato hash I used Jennie-O Lean Turkey Breakfast Sausage, and I truly love it. It’s a great way to get the classic sausage flavor without the added fat. 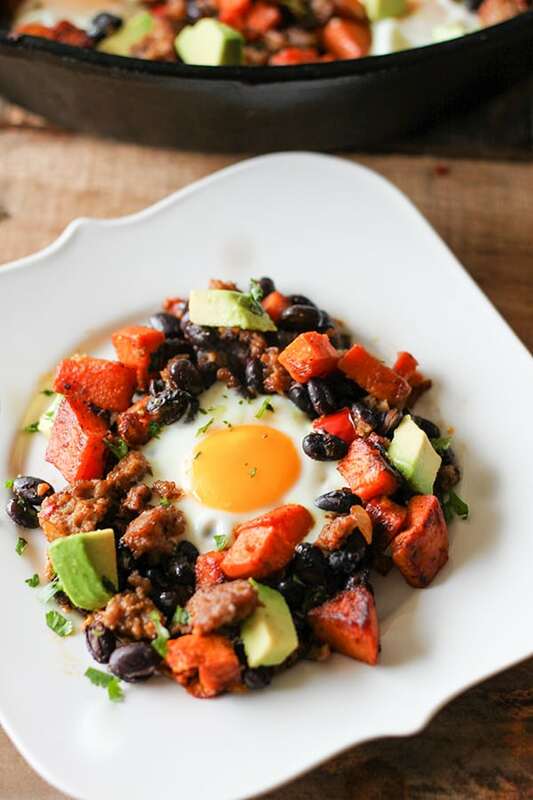 This combination of lean turkey breakfast sausage, red bell pepper, smokey sweet potatoes, black beans, eggs and avocados is out of this world delicious. 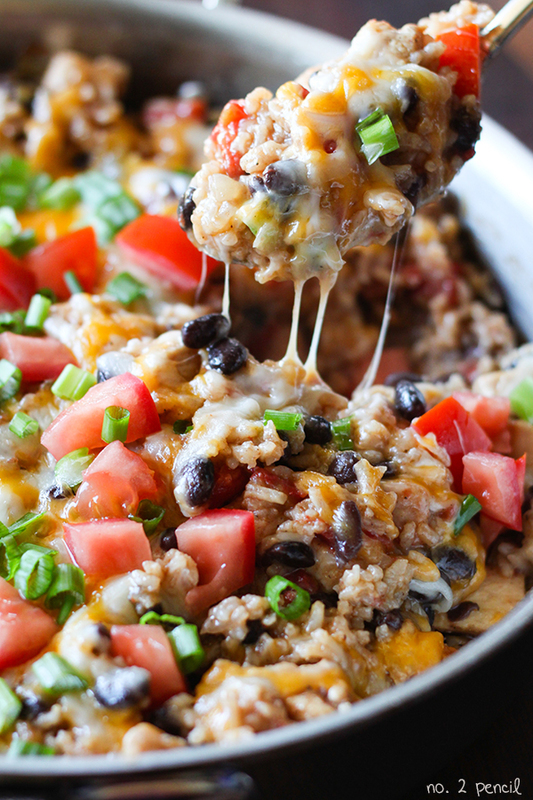 This has got to be one of the most flavorful breakfast recipes I have ever made. This was a huge recipe, made in my huge cast iron pan, so if you don’t need as much, feel free to halve the recipe and just use four eggs. Start by browning the sausage then setting it aside to be added back in after the sweet potatoes are cooked. I use my favorite Cast-Iron Skillet It’s huge and inexpensive and I’ve been using and loving mine for almost fifteen years! Next, sauté the onions, bell pepper and jalapeño over a medium heat just until they start to soften. 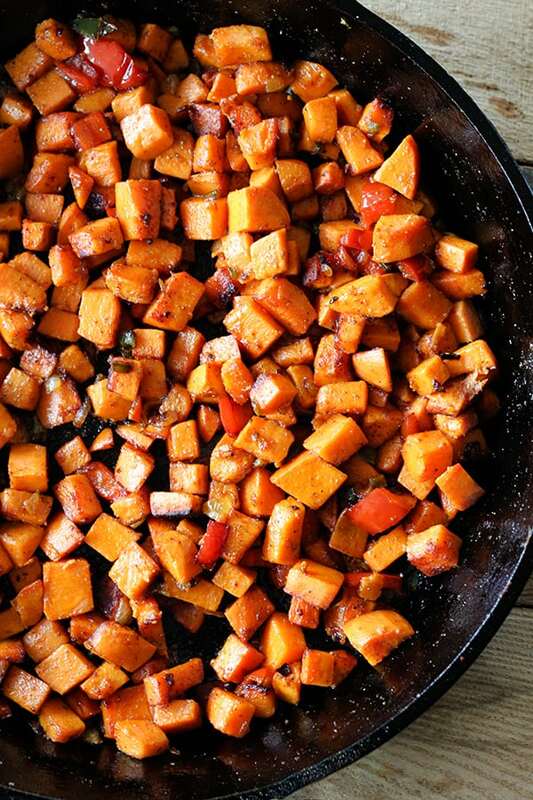 Increase the heat and add the sweet potatoes to the pan with additional olive oil and spices. Let the sweet potatoes set and don’t stir too much so they can get all crispy and brown on the edges. 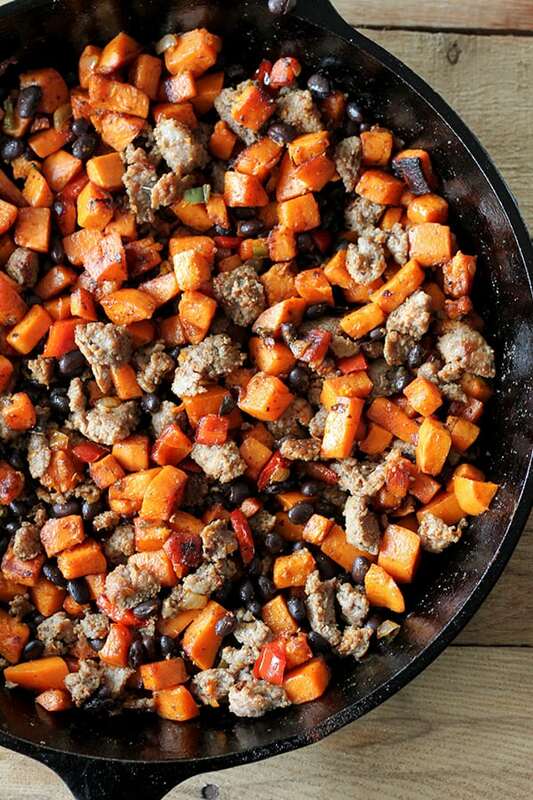 When the sweet potatoes are tender, add sausage and black beans into the skillet. Make small wells in the hash and crack an egg into each well. Bake the hash at 400 degrees in the oven, just until the egg whites are set. Finish with freshly diced avocado and fresh cilantro. 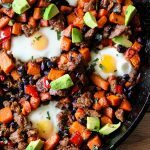 I love this hash, it has so many of my favorite ingredients, and it’s perfect for a savory breakfast or a delicious dinner. In a very large skillet, brown Jennie-O turkey breakfast sausage. Once sausage is cooked through, remove from pan and set aside. Add olive oil to skillet and sauté onions, bell peppers and jalapeño with a pinch of salt and a few turns of freshly ground pepper. Cook over medium heat until they start to soften. Increase heat to medium high and add sweet potatoes to skillet. Drizzle sweet potatoes with additional olive oil, just enough to lightly coat, and season with one teaspoon of kosher salt, freshly ground pepper to taste, garlic powder, smoked paprika, chili powder and cumin. Cook sweet potatoes, stirring occasionally, until crispy on the outside and tender on the inside, about fifteen minutes. Once potatoes are ready, stir in drained and rinsed black beans and turkey sausage. Then make a well in hash for six eggs. Crack an egg in each well and bake in oven, just until eggs are set. Start checking for doneness after five minutes. A few q’s: What size is the skillet? Did you peel the potatoes first? It’s a 12 inch Lodge cast iron skillet, which is huge! Much bigger than my other 12 inch pans. Yes, peel the sweet potatoes. I’m going to update the post as well, thanks for the questions!